Bessie Jones was born in 1902 and had the presence of mind to learn the old folk songs and play party dances from people who had been slaves including her grandfather who was born in Africa. The Georgia Sea Islands were a treasure trove of songs, dances and stories which Bessie learned and taught to others around the world. From 1975 until her death in 1982 I brought Bessie Jones to Warren Wilson College where I was directing the Appalachian Music Program. 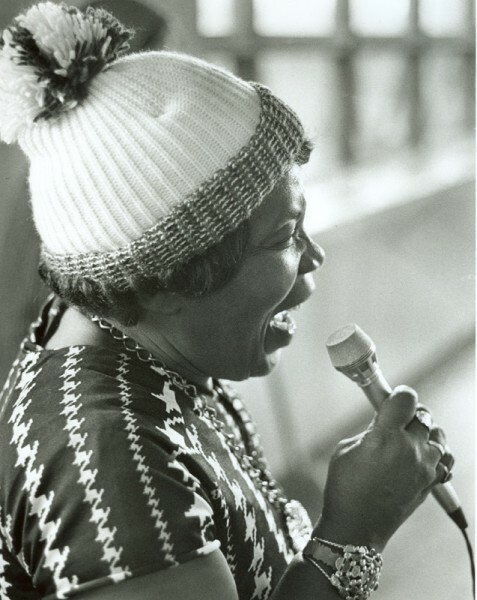 Bessie had the amazing ability to relate to anyone from any social class, getting them up, shaking their rear ends, dancing and singing her soulful songs.